Shortly after the The Phantom Pain saga, Hideo Kojima’s decision to part ways with Konami cast a shadow of doubt over Silent Hills, a retelling of the legendary horror series which would have him collaboration with cinematic maestro Guillermo Del Toro. However, over the weekend, Tweets from the project’s leading stars confirmed our worst fears to be true, and today the Japanese publisher has announced that the pair’s vision for the franchise is effectively no more. Taking to the game’s official website, Konami addressed some concerns through the official Q&A segment, where it noted that P.T. – the excellent horror teaser that essentially started the resurgence in the first place – is to be taken down from PSN on Wednesday, April 29. Why is “P.T.” no longer available on Playstation Network? What will happen with regard to “SILENT HILL”? Konami Digital Entertainment Co., Ltd. will continue to develop the “SILENT HILL” series. What will happen with regard to “P.T.”? What do you mean by “playable teaser”? The playable teaser was a trial edition of “SILENT HILLS” intended to give players an idea of the game concept. Unfortunately, the writing is on the wall at this stage. News of this imminent cancellation first found its way online following an interview with Del Toro, with the Hellboy director stating that “it’s not gonna happen and that breaks my greasy heart.” The Walking Dead fan favorite Norman Reedus added fuel to the fire through Twitter, where he expressed his disappointment that Silent Hills will never deliver on what was once promised. It’s understood that Konami will revisit the franchise in the future, as it looks to organize a new reboot of the beloved horror IP without Kojima, Del Toro or Reedus’ creative input. Mind you, it will take some time before the publisher can push this disheartening announcement to one side and win the fanbase back over. 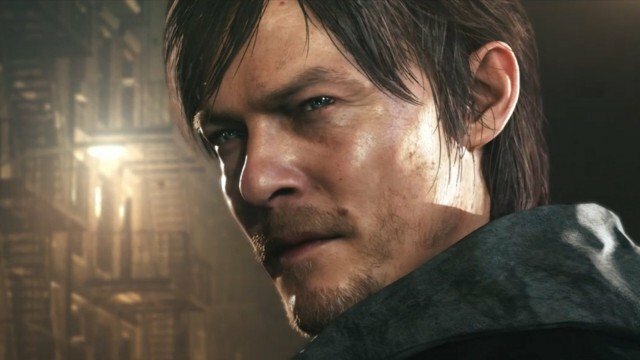 “Konami is committed to new Silent Hill titles, however the embryonic ‘Silent Hills’ project developed with Guillermo del Toro and featuring the likeness of Norman Reedus will not be continued,” Konami said. Silent Hills is dead, dear readers, long live Silent Hill.